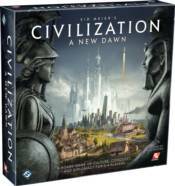 Rewrite history to your own vision in Sid Meier�s Civilization: A New Dawn! This new turn based strategy game lets players build their empire over the course of ages, advancing their culture, technology, and military. Trade, build, and conquer to become the greatest leader the world has ever seen!